By now, many may know that a plant-based diet is considered one the best ways to protect health and guard against cellular aging and chronic disease. In the U.S., meat consumption is on the rise, even as the American Institute for Cancer Research, the World Cancer Research Fund International and the World Health Organization all recommend reduced and limited red and processed meat consumption. While vegans avoid all animal products, there are some vegetarian or semi-vegetarian diets that are largely based on plant foods, but allow for modest amounts of dairy and eggs and even an occasional bit of seafood or grass fed meat. Some might argue that humans are omnivores who function best on a diet that includes both plant and animal foods. The Academy of Nutrition and Dietetics notes that an appropriately planned and balanced vegetarian diet can provide the nutrients to meet the body’s daily nutritional needs. To ensure a healthy plant-based diet, one must be educated in nutritional requirements, as an unbalanced diet may lack a number of important and essential nutrients. To truly be healthy, a vegan or vegetarian diet requires more than processed meatless meals, pumpkin muffins, French fries, pasta, and empty calorie refined foods. Ideally, 8-12 daily servings of a wide variety of colorful plant foods is necessary to provide sufficient amounts of protein and micronutrients. Getting sufficient critical nutrients can be a challenge in a vegan diet, so knowledge and meal planning are essential. To guard against nutritional deficiencies, a balanced plant-based diet must include sources of all micronutrients. Particular attention should be paid to vitamin B12, vitamin D, iron, zinc, calcium, omega-3 fatty acids and all the essential amino acids. According to the Journal of the American Medical Association, a plant-based diet is one the best ways to naturally lower blood pressure. The Harvard School of Public Health concurs and suggests that a diet loaded with fruits and vegetables can help control hypertension, lowering the risk of heart disease and stroke. Almost 400 million Americans now have type 2 diabetes and that number is expected to rise to 600 million by 2035. Type 2 diabetes is largely preventable with a healthy whole food diet and exercise. Research suggests a plant-based diet is one of the best forms of diabetes prevention. Harvard researchers have found that those who average eight or more servings of fruits and vegetables daily lower their risk of having a stroke or heart attack by 30%. 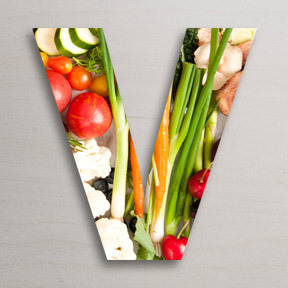 Vegetarians tend to consume fewer calories, helping to support normal weight. Opting for more fiber-filled vegetables, fruits and whole grains in lieu of meat, leads to a lower overall caloric intake and helps to keep you feeling satisfied on fewer calories. Weight loss occurs naturally when less sugar and more whole foods are consumed. The USDA guidelines suggest that everyone integrate more meatless meals, that revolve around vegetables, whole grains and fruits, into their weekly meal plans. In adopting a vegan or vegetarian diet, it’s essential to know how to increase not only your intake and but also the absorption of certain nutrients in order to avoid both short term and long term deficiencies. When one is considering going vegan or vegetarian, it may help to meet with a healthcare practitioner, dietician or nutritionist to learn about meal planning, especially when one has a medical condition or is looking to lose a significant amount of weight. With adequate planning, a plant-based diet can exceed the healthfulness of non-vegetarian diets, especially the standard American diet. Be sure to do your nutritional homework and plan a healthful approach before jumping headlong into a vegan or vegetarian diet. Vitamin B12 – B12 is particularly important for DNA, RNA and red blood cell production, as well as healthy nerve cell maintenance. B12 aids the release of energy into the cells, supporting movement and cognitive function, and supports cardiovascular health by removing inflammation-causing homocysteine from the blood. Found largely in animal products, B12 deficiency is common in vegans and vegetarians and can cause symptoms such as fatigue, nervousness, tingling in the extremities, and eventual nerve damage, if the deficiency is not addressed. In order to ensure sufficient amounts of B12 and minimize the potential risk of heart disease, vegans should eat fortified foods several times each day or consider a daily B12 supplement. Iron – Iron is important for immunity, energy production, DNA synthesis and the transfer of oxygen throughout the body. Iron deficiency is the most common nutrient deficiency in the U.S., especially among premenopausal women and teenage girls. Iron is prevalent in a wide variety of plant and animal foods including meats, legumes, beans and grains. Although the most easily absorbed form of iron, known as heme iron, is primarily found in red meat, plant foods do contain significant amounts of iron, but in a less absorbable non-heme form. In addition, plant antioxidant compounds, such as polyphenols and phytates, can bind to minerals and inhibit the absorption of plant iron and zinc. Sufficient levels of Vitamin C can enhance the absorption of plant iron and overcome the inhibitors in plant foods. Although studies show that vegetarians have lower iron stores than non-vegetarians, by paying attention to a healthy, varied vegetarian diet, herbivores can keep their blood levels of iron within the normal range. Zinc – There are many rich plant sources of zinc, including chickpeas, mushrooms and cashews. However, similar to iron, the body does not easily absorb zinc from plant-based sources. Evidence suggests that because of absorption issues, vegans and strict vegetarians may require a zinc intake up to 50% higher than meat eaters. Once again, these foods should be paired with vitamin C-rich foods to increase the absorbability this important nutrient. Omega-3 Fatty Acids – Omega-3 fatty acids, such as EPA and DHA, are found largely in fatty fish. ALA is an omega 3 fatty acid that is found in plant products. Getting sufficient omega-3 essential fatty acids may be the ultimate challenge for vegans. Ground flax seeds and hemp seeds are two of the richest plant sources of ALA omega-3 fatty acids. As vegetarian diets are typically low in omega-3 and high in omega-6 fatty acids, the use of corn and blended vegetable oils, high in omega-6, should be minimized. Low levels of omega-3’s are associated with cardiovascular disease, depression, and other negative health consequences. Complete Proteins – Protein is key to reduced cravings, muscle building, and healthy weight maintenance. All protein sources from meat to tofu contain different amounts of amino acids. Animal-based food sources contain all essential amino acids but plant-based protein may contain only a few. Eating a variety of plant proteins along with whole grains can ensure the proper intake of all essential amino acids. Deficiencies in essential nutrients can negatively affect the way the body can use protein. B12 5000 Liquid by Pure Encapsulations – This convenient, pleasant tasting bioavailable form of vitamin B12 as methylcobalamin provides support for energy production and immune system health, as well as nerve and neurological function. Gluten and soy free, Non-GMO vegetarian formulation. Vegan Vitamin B12 2500 mcg by Deva Nutrition – These sublingual, fast dissolving lozenges provide bioavailable vitamin B12 as methylcobalamin. Each easy-to-take tablet provides 2500 mcg of B12 to ensure adequate intake. Gluten and dairy free, vegan formulation. Vegan Omega-3 DHA-EPA 300 mg by Deva Nutrition – This high potency source of omega-3 essential fatty acids DHA and EPA is derived from a completely vegetarian source of microalgae grown in a controlled environment under cGMP guidelines to ensure the highest quality. Gluten free, 100% vegan formulation. Wild Alaskan Salmon Oil by Natural Factors – SAVE 20% Rich in omega-3 fatty acids, wild salmon oil has a naturally occurring nearly 1:1 ratio of EPA to DHA. Wild Salmon Oil is regularly tested for chemical residue and heavy metals to ensure a safe and pure source of fish oil. Wheat, dairy and yeast free formulation. Vegan Chelated Iron 29 mg with added B12 by Deva Nutrition – This amino acid chelated supplement provides absorbable iron along with B12 without adversely affecting the gastrointestinal system. Gluten, soy and dairy free, vegan formulation. 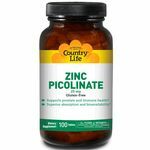 Zinc Picolinate 25 mg by Country Life – This supplement provides highly absorbable and bioavailable zinc in support of immune, prostate and overall health. Wheat, soy and dairy free, vegan formulation. Omega-3’s are called “essential” fatty acids because the body requires them for the vital role they play in the health of all bodily cells. Although essential for optimal health, the body cannot manufacture these polyunsaturated fats and they must be obtained through dietary sources. Cold water oily fish and fish oil supplements are the main dietary sources of omega-3 eicosapentaenoic acid (EPA) and docosahexaenoic acid (DHA) essential fatty acids. For decades, science has shown that the omega-3’s found in fish oils have numerous positive health benefits. In addition to favorable cardiovascular protective effects, mounting scientific evidence shows that a diet rich in omega-3’s supports healthy brain function, promotes healthy eyes and vision, supports a healthy immune response and protects nerve and brain cells from oxidative stress and damage. Omega-3’s also promote healthy triglyceride levels, support joint mobility and flexibility, support digestive and gastrointestinal health, promote the metabolism of dietary fat and cholesterol and encourage a healthy inflammatory response. Whew! 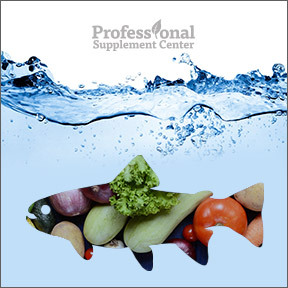 If you are not eating fish several times each week or taking fish oil supplements, the question is why not? If the answer is simply that you follow a vegetarian diet or that you really don’t care for fish, be sure that you include plant-sourced alpha-linolenic acid (ALA) omega-3 in your daily meals. ALA can be found in palm, flaxseed, coconut and olive oils, in raw nuts such as cashews, pecans and walnuts, some seeds like chia and flaxseed and in some green vegetables such as kale, spinach and Brussels sprouts. Other dietary options include omega-3 enriched foods, including eggs and fortified dairy foods. As ALA is actually a precursor to EPA and DHA, a vegetarian’s challenge is the reliance on favorable circumstances for bodily processes to convert dietary ALA to the biologically active forms of EPA and DHA. Unfortunately, this conversion is often inefficient and may be negatively affected by age, genetics, health status and poorly designed diets. Although conversion can be slow or incomplete, sufficient ALA intake may be enough to supply adequate levels to avoid deficiency but may not be enough for optimal health. Evidence shows that vegetarians’ blood and tissue levels of EPA and DHA are about one half that of non-vegetarians. Our body’s abilities to make EPA and DHA from ALA partly depends on the other types of fats we eat. High consumption of omega-6 fats, found in corn, safflower and other blended vegetables oils, can interfere with ALA conversion. Getting enough DHA is particularly troublesome, as possibly excessive amounts of ALA are required to produce more optimal DHA levels. Ideally, we need a ratio of about 3:1 omega-6 fats to omega-3 fats. Our modern diet is skewed heavily in the direction of omega-6, which is pro-inflammatory and aids blood clotting, and seriously lacking in omega-3, which is anti-inflammatory and an anti-coagulant. Many of us, especially vegans and vegetarians, need to take a closer look at our diets to ensure not only a more balanced ratio, but that we are getting the omega-3’s we require for good health. Adding more plant based omega-3 fatty acids to our diets is a good idea for all us, as these foods also contain vitamins, minerals, fiber and phytonutrients. The amount of omega-3’s contained in fish is closely related to what the fish eat. Fish that eat algae and sea plants that are rich in omega-3’s contain the highest amounts of omega-3’s. Supplementing is a way for those who don’t eat fish to ensure they are getting optimal amounts of these healthy essential fats. Because there are limited options for vegans and vegetarians to ensure sufficient amounts of DHA through diet, supplementing can reduce the risk of dietary deficiency and provide the numerous health benefits of omega-3’s, especially for those over 60 years of age. Minimizing oils high in omega-6 and cutting back on fried foods will also aid ALA conversion to EPA and DHA. In order to convert ALA, the body needs other nutrients including vitamins B3, B6 and C and the minerals zinc and magnesium. In addition to providing an excellent source of soluble and insoluble fibers, flax seeds is the richest source of ALA for everyone and especially suitable for vegetarians. Vegan Omega-3 DHA-EPA 300 mg by Deva Nutrition – This 100% vegan product contains high potency omega-3’s derived from microalgae grown in a controlled environment in an FDA inspected facility. Free of gluten, dairy or animal products. Organic Cold Pressed Flax Seed Oil by Ortho Molecular – Two softgels provide 2,000 mg of organic flax seed oil, known to have the highest amount of omega-3 ALA and LA essential fatty acids. Gluten and soy free. Vegan 1-a-Day Multivitamin by Deva Nutrition – This formula, enriched with whole green foods, vegetable powders and special herbs, provides high potency, balanced multiple vitamins and minerals especially formulated to meet the unique nutritional needs of vegans and vegetarians. Free of wheat, gluten, dairy and animal products. 100% Certified Vegan. MediPro Vegan All-in-One Shake by Thorne Research – Ideal for vegans, vegetarians and dairy-sensitive individuals, this non-whey, vegetable based, multi-nutrient protein powder provides 27 grams of protein per serving. This formula contains a proprietary blends of pea, potato and chlorella proteins, fibers, fruits, vegetables, digestive enzymes and probiotics. Gluten and dairy free, Non-GMO vegan/vegetarian formula. Tagged MediPro Vegan All-in-One Shake by Thorne Research, Omega-3 Fatty Acid Recommendations for Vegetarians., Omega-3's for Vegetarians, Organic Cold Pressed Flax Seed Oil by Ortho Molecular, Plant Sources of Omega 3s., Vegan 1-a-Day Multivitamin by Deva Nutrition, Vegan Omega-3 DHA-EPA 300 mg by Deva Nutrition, Vegetarian's Challenge - Optimizing Essential Fatty Acid Status.